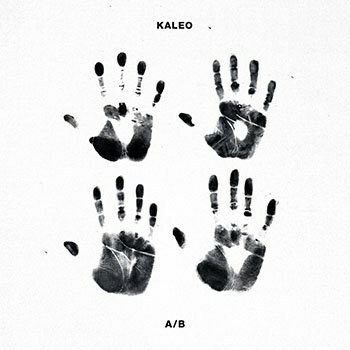 Kaleo exhibit raw, aggressive talent with their first American full-length, eager to showcase their wide skillset of styles and genres. Kaleo (a Hawaiian word for “the sound”), are a group of talented young rock/blues musicians from (where else would you expect?) Mosfellsbaer, outside Iceland’s capital of Reykjavik, and only recently relocated to Austin, Texas, in 2015. Having riled up a significant following in their home country as well amassing a horde of streams on Spotify, the band signed with Atlantic Records, and now we have their first complete gift to American listeners. A/B sounds like a greatest hits album. In a way it kind of is, as it draws from Kaleo's Icelandic self-titled debut and the handful of singles that have been released in America. However, don’t let the diverse group of songs fool you: this is their first American release, and it is packed with polished, simple, and effective rock/blues tunes that sound like they were birthed somewhere in the Mississippi delta rather than across the Atlantic. The album begins with the first two songs that really hit in America, “No Good” and “Way Down We Go”, the former having been featured in the recently canceled HBO series Vinyl and the latter debuting with an accompanying music video of the band playing the somber, smoky song in the dark caverns of a volcano. What follows is an album filled with enough diversity and vocal style from lead singer Jökull Júlíosson to make it a consistently engrossing listen, with a track list ranging from dark ballads to American roots music to stadium-sized rockers. “No Good”, along with “Glass House” and “Hot Blood”, are uptempo rock anthems that showcase one facet of Kaleo. Cutting, Jack White–style Whammy pedal solos, loud hum-along guitar lines, and gruff vocals with catchy choruses characterize a corner of Kaleo’s catalog that is just itching to be played live. Equally impressive are Kaleo’s old-fashioned country and blues tunes. “Broken Bones” begins with chanting, chain-gang-style vocals that flow into a slippery blues riff and usher in the rest of the song. “Automobile” sounds like how American country music used to sound: twangy solos, whistling, and something that couldn’t say American country any better—a chorus with a list of cities. The final pieces in the Kaleo pantry are slow, often dark and introspective ballads: the Bon Iver–inspired “All the Pretty Girls” and US hit “Way Down We Go” are tracks recognizable for their sorrowful tone, slower pace, and achingly good vocals. “Save Yourself” is another slow acoustic ballad that builds to a strong ending, and you can practically feel Júlíosson’s desperation and longing in the Spaghetti western–sounding “Can’t Go on Without You”. However, the real standout is “Vor i Vaglaskogi”, a traditional Icelandic song that helped Kaleo gather a heavy following in their home country. It is a beautiful, elegiac, and powerful song, and one that an American, non-Icelandic speaker should look up the translation to after a few listens, to appreciate the poetic power of the lyrics. In the years following strong releases by The Black Keys, Hozier, Jack White, and many others, some will claim that these songs are nothing but a rehash of ideas that have already been realized. Nonetheless, the quality of Kaleo’s songwriting talent and razor-sharp production will certainly excite many and outshine the familiarity of some pentatonic riffs or recognizable chord progressions. Plus, Júlíosson’s haunting, raucous, and quavering voice seems to have limitless range and vigor—a constant reminder that you are listening to something special.